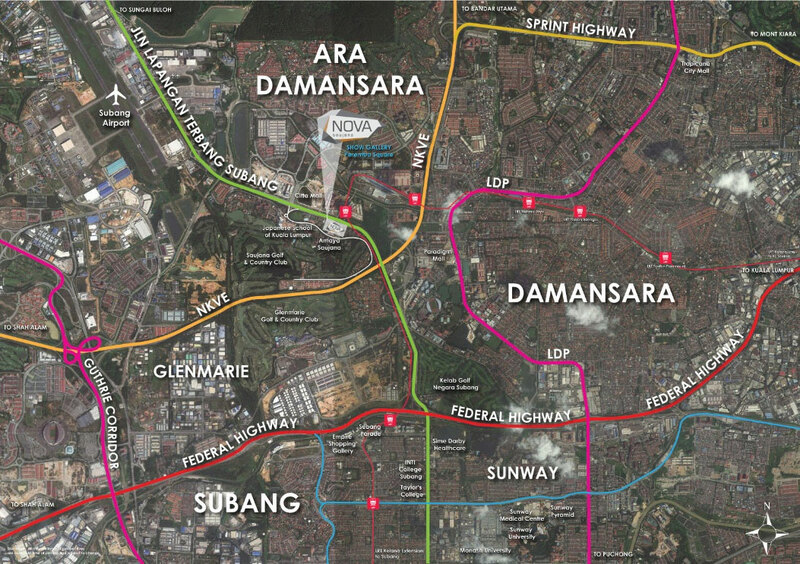 Nova Saujana is located in a matured township and well- connected by an established network of highways, expressways, city roads and future LRT hubs. Residents do not need to travel far for shopping, lesiure or education as the best in local and international amenities are so much closer. Federal Highway| New Pantai Expressway (NPE) | New Klang Valley Expressway (NKVE)| KESAS Highway| North-South Expressway Central Link (ELITE) | SPRINT highway | Damansara- Puchong Highway (LDP)| Subang Airport | Jalan Lapangan Terbang Subang | Future LRT hubs. Located near the main hub of activity ranging from Golf club, Shopping mall, Hotel to Educational and Healthcare hub. Claim the privilege of being among the first to enjoy the exclusivity of the city’s celebrated dining and leisure circle at Nova Saujana. It offers a great choice of retail spaces suitable for small and medium-size businesses such as Restaurants & Cafes, Deli & Convenience Store, Beauty Services, Bakery, Gift and Floral shop.